Attention all startups Get the opportunity to represent Pakistan in Switzerland and win $1 Million Investment through Jumpstart Shepherd Pie Season III. Jumpstart Shepherd Pie Season III has officially launched in Pakistan. Jumpstart Shepherd Pie Season III is the annual startups event that supports them to turn their ideas into reality. This Jumpstart Shepherd Pie Season is conducted in various cities of the Pakistan in search of the most innovation idea of the year. 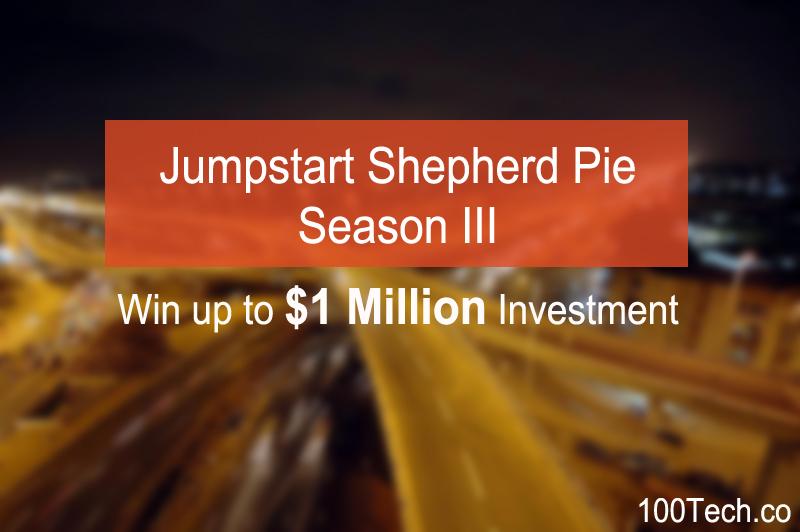 The successful startup would get the chance to visit Switzerland and win investment of worth $1 Million through Jumpstart Shepherd Pie Season III. Jumpstart Shepherd Pie Season III is providing a great opportunity to all the entrepreneurs and startups from all across the Pakistan to become part of this great event. It is a golden opportunity for you to come forward and show your innovative ideas. Register from here. If you wish to know about JumpStart Pakistan then get more information from here.